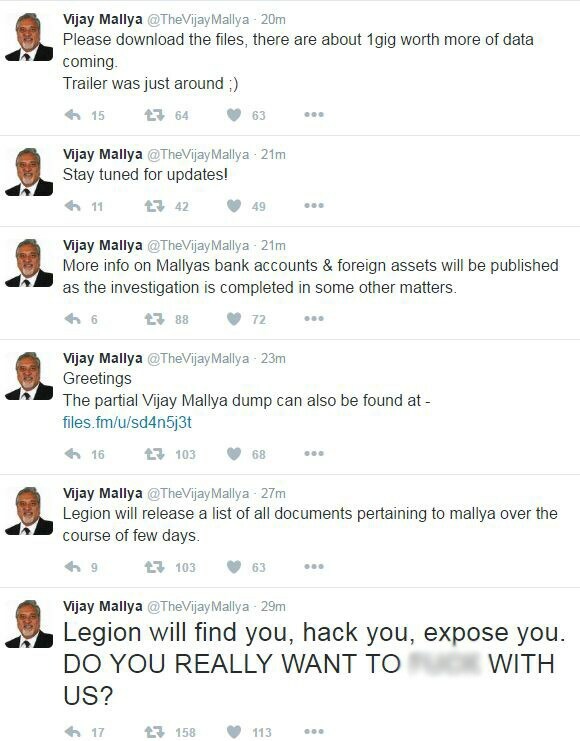 On Friday, troubled business tycoon Vijay Mallya's Twitter account was hacked by a group which identified itself as 'Legion'. 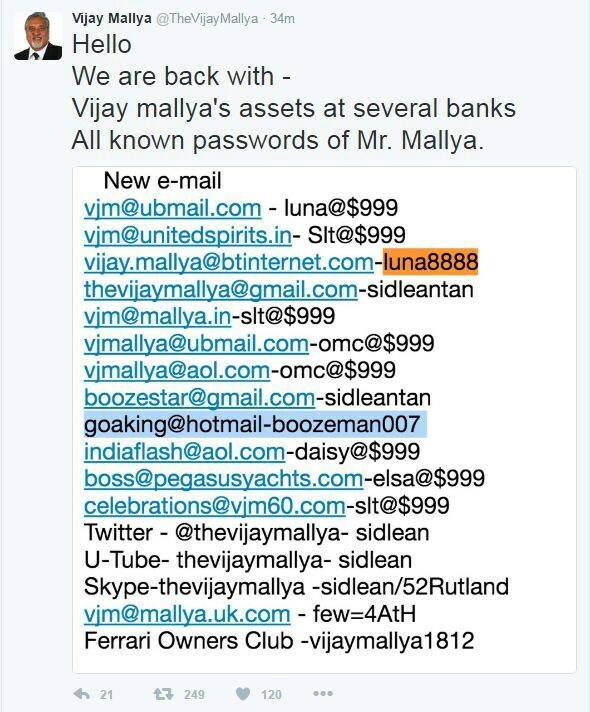 This is the same group that also hacked Congress vice-president Rahul Gandhi and the party's accounts earlier this month. New year, if you catch all of us by then, you might be able to save your party. When we finish sifting through them. 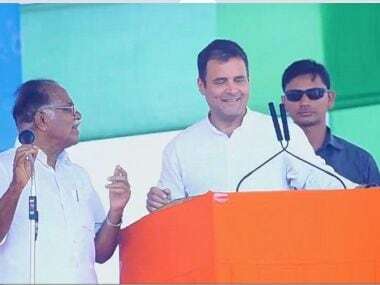 Congress was sniffed for about 4 months carefully. Expect it on new year. 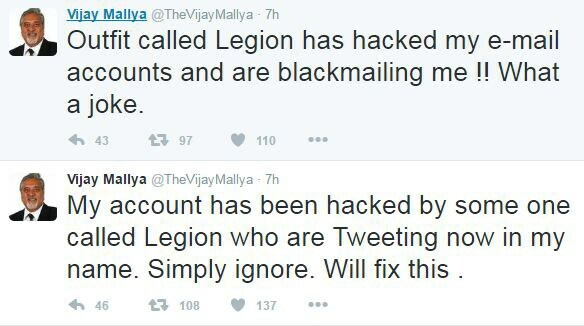 My account has been hacked by some one called Legion who are Tweeting now in my name. Simply ignore. Will fix this . Outfit called Legion has hacked my e-mail accounts and are blackmailing me !! What a joke. Calling for public support, 'Legion' claimed that it will bring more information of criminals out in public in order to bring them to justice. 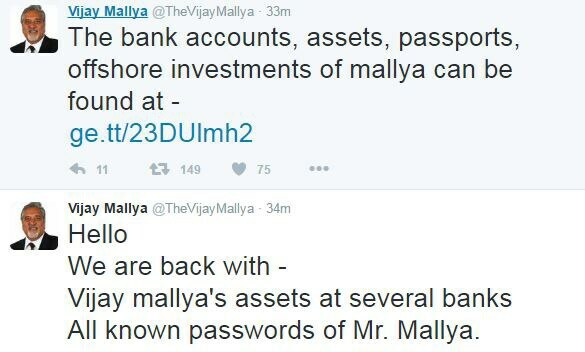 Calling Mallya a "fraudster" and a "conman", the hacker also claimed that more information on Mallya's bank accounts and foreign assets will be published as the investigation is completed in some other matters. Classic cars AT HIS MANSION AT LADYWALK! 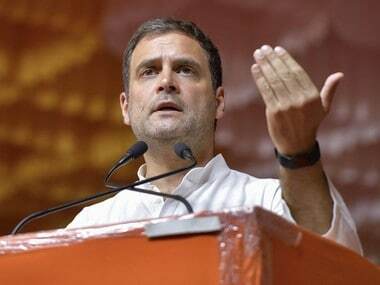 The group did however point out repeatedly that the motive behind putting Mallya's dirty laundry on public display was not blackmail. 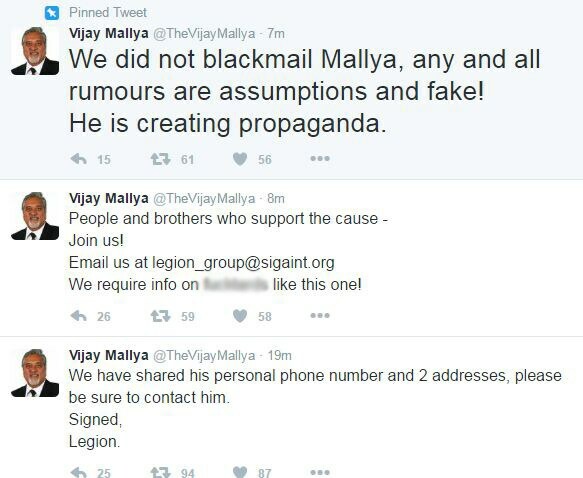 We did not blackmail Mallya, any and all rumours are assumptions and fake! 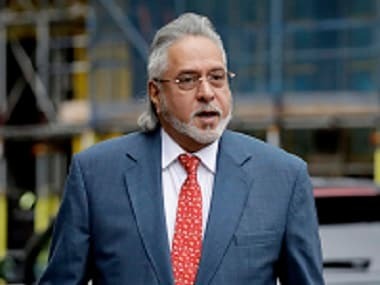 Mallya owes close to Rs 9,000 crore to lenders like SBI, PNB, IDBI bank, BoB, Allahabad Bank, Federal Bank, Axis Bank etc. He currently lives in Britain.